Root canal has been considered a treatment that can save an infected or damaged tooth and repair it. Actually, the term comes from the cleaning of canals inside the root of the teeth. In the past few years, root canal treatment was known to be painful. With the local anesthetic and dental advances, this has been made less painful and more convenient on the part of patients. 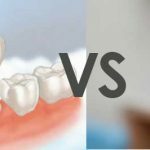 Living with a decayed or damaged tooth is more painful. Good thing, root canal alternatives have been offered to replace damaged tooth with a bridge, dental implant or partial denture. How does the Root Canal Procedure Done? Root canal procedure is the treatment usually carried out inside the teeth. This is necessary when the pulp has become infected or inflamed. The infection or inflammation has its many different causes such as repeated dental procedures, deep decay and chip or crack in the tooth. 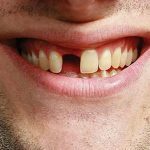 Apart from it, a trauma to a tooth may bring potential pulp damage even though the tooth has no visible cracks or chips. In the event that pulp infection or inflammation is left unattended or untreated, it only leads to an abscess or pain. During the root canal treatment, the infected or inflamed pulp is actually removed. Even the interior part of the tooth is properly disinfected and cleaned. The tooth will now be restored with a filling or crown for its utmost protection. After the restoration process, the tooth will now continue to function just like any other tooth. After the root canal procedure has been carried out, the restored tooth with the crown will now look cosmetically pleasing and normal. You just need to follow good oral and dental hygiene to restore your tooth and for it to last for a lifetime. It is also a must for you to know that after several days of root canal procedure, your tooth will now become sensitive. OTC pain medications will also help you out. If pressure or pain lasts for several days, you need to talk to our endodontist or dentist. Never ignore untreated dental decay as this only leads to infection or damage on your teeth. Seek help from our dental health professional and he or she will be glad to help. Your root canal pain matters and you must never sacrifice from it. In the recovery from root canal treatment, it is essential to take a closer look at your teeth. Avoid biting on foods that are hard for you to chew until the treatment is completed. Continue maintaining good oral hygiene and give up on smoking!